The Galaxy Watch Active will reportedly launch running on Tizen 4.0.0.3 OS and could be powered by the Exynos 9110 SoC. Samsung could rename upcoming Galaxy Sport smartwatch to Galaxy Watch Active. The upcoming wearable is speculated to feature a 1.3-inch diameter display. It might sport Samsung Pay via NFC and come with a 230mAh battery. Samsung is all set to unveil its Galaxy S10 series of smartphones at an event in San Francisco on February 20. While we expect the new line-up to come with refreshed designs and sport new features, the company might also be readying the next iteration of its smartwatch, the Samsung Galaxy Watch. The rumour mill has been churning out some reports on the alleged smartwatch and an image was also leaked online. Previous reports suggested that the new device will be called the “Samsung Galaxy Sport,” however, a new report by XDA Developers suggests that it could be called the ‘Galaxy Watch Active’. Additionally, digging around in the firmware files of the watch, the report has listed some specs and features that might be included this time. 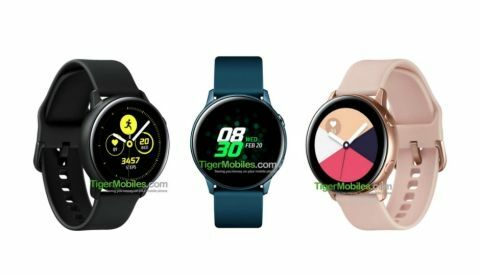 As per the new report, the Samsung Galaxy Watch Active sports SM-R500 as its model number, with the codename ‘Pulse.’ The device could be announced running on the Samsung’s own Tizen 4.0.0.3 operating system and is tipped to be powered by the Exynos 9110 chipset. The model number places the watch in the same series as Samsung’s Gear Sport that was launched back in 2017 (model number SM-R600) and the company could use the same chipset that powers the 2018 Galaxy Watch. Additionally, the upcoming Galaxy Watch Active might feature a 1.3-inch diameter display with a 360x360p resolution, which is again similar to the Galaxy Watch from 2018. 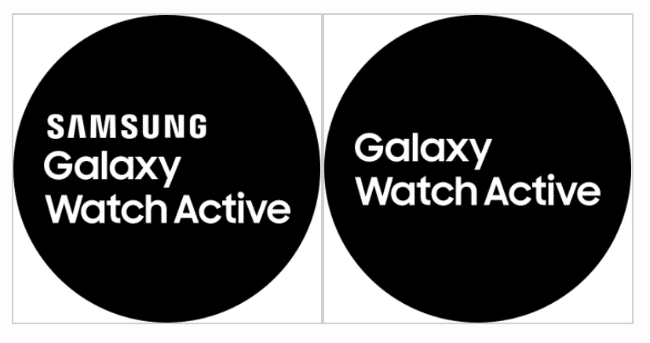 Some additional features on the Samsung Galaxy Watch Active are said to include LTE connectivity, maybe with dual eSIM support, and a built-in speaker. The wearable is expected to ship with a heart rate monitor and could sport Samsung Pay via NFC and GPS. It could be equipped with a 230mAh battery, which is smaller than the 300mAh backup Gear Sport came with. However, there is no information on what variants the new watch could come in and it is speculated that the company could do something similar as the Galaxy Watch, the 42mm version of which has 270mAh battery while the 46mm variant is backed by a 472mAh battery. The Galaxy Watch Active is rumoured to feature 4GB of onboard storage and might be announced in black, teal blue and pink gold colour variants. Samsung could ditch the rotating bezel on the watch this time and instead introduce two recessed side buttons on the metal case to control the OS. What would be the price of Samsung galaxy note4?